The JUSTFOG P16A cartomizer is 16mm diameter, with 510 thread. The tank is 1.9ml e-liquid capacity and it has pre-installed 1.6ohm coil, which is the original Japanese organic cotton coil. 100% EU TPD compliant product and the P16A cartomizer is compatible with J-Easy 3 batter. The JUSTFOG P16A is 100% EU TPD Compliant cartomizer. The cartomizer size is very compact, that is 14mm diameter, with 1.9ml e-juice capacity. It features 1.6ohm pre-installed coil, which is the original Japanese organic cotton coil. The JUSTFOG P16A cartomizer also features easy body-spinning bottom airflow control and childproof opening system. The cartomizer design is very simple and it is powerful enough for vaping. 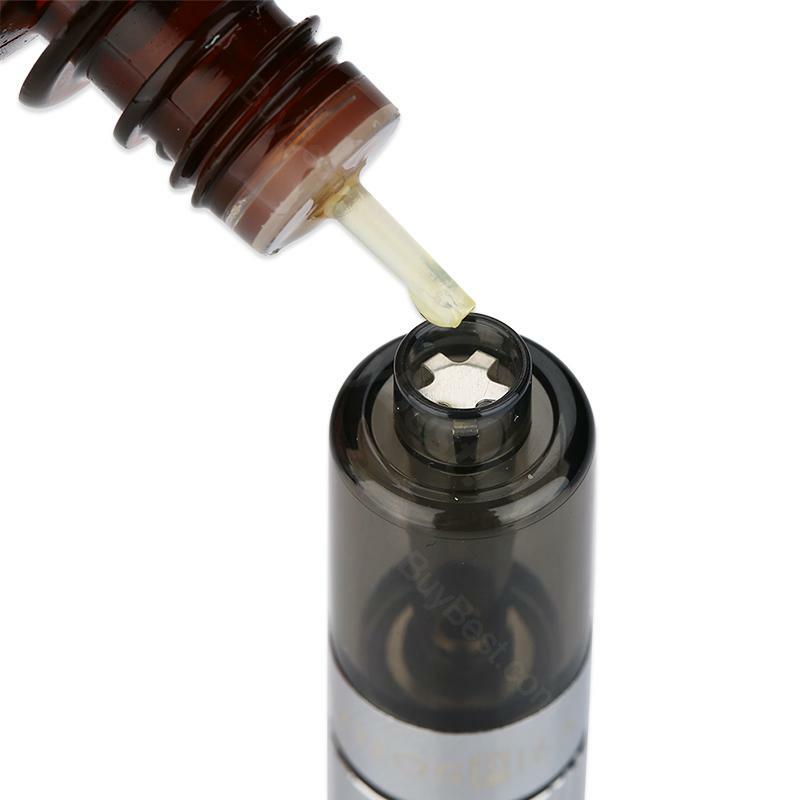 This P16A cartomizer is compatible with J-Easy 3 batter and available in black color. Just enjoy it! • It doesn't come with e-liquid. You need buy it separately. • We recommend you to use it with J-Easy 3 battery/ JUSTFOG P16A Kit. • The replacement 1.6ohm and 1.2ohm are also available in Buybest. JUSTFOG P16A Cartomizer - 1.9ml works perfectly fine. Super Quality, fast Shipment, best price. JUSTFOG P16A Cartomizer gefällt mir sehr. hat aber zu wenig Volumen für stark raucher. aber auf der arbeit perfekt. Sie ist nicht teuer, ist unkompliziert.